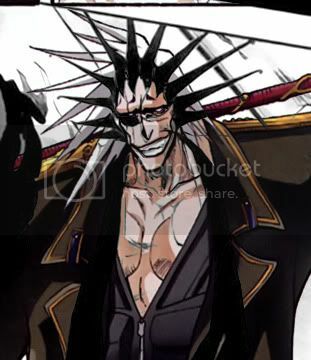 If you're going to think about tracing panels and character designs from a wildly popular manga series like Bleach, you might want to do it where the Internet won't notice. Let's do a fun little mental-imaging exercise, everybody: Imagine that you're the son of KISS frontman Gene Simmons, a man whose painted face is one of the most instantly recognizable symbols of geek metal culture. Whether due to your father's fame or due to your own talent (or a mix of both), you get the chance to write and draw your own comic book. That'd be pretty awesome, yeah? Unfortunately, when it comes out, the Internet notices that the comic in question has character designs that seem to be very heavily inspired by a famous long-running Japanese action series - as well as some panels that seem to be traced line-from-line from their manga counterparts. That'd be slightly less awesome. That seems to be the case, though, as Nick Simmons' Incarnate has been accused of plagiarism by fans of Tite Kubo's Bleach - you know, one of those interminable "shounen" action series that goes on forever, shows no sign of ending, and still remains perplexingly popular (a la One Piece or Naruto). 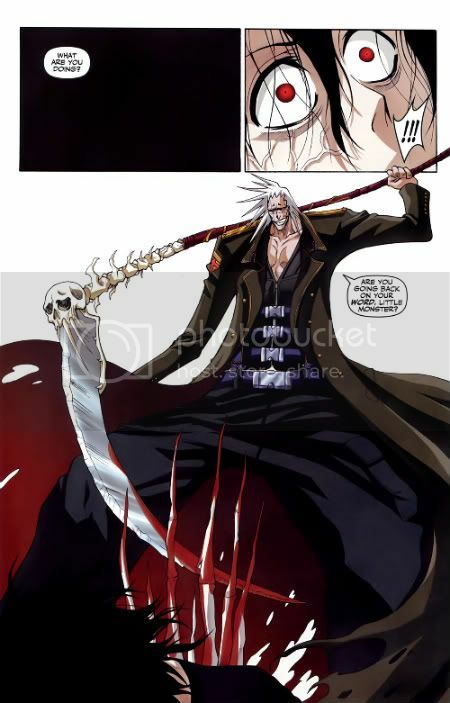 There are some image comparisons posted on the Bleachness LiveJournal community, and while a good few of them can be handwaved as "Bah, that's just a generic shot," there are a few images and designs that seem more than a little similar. While nothing has been proven as of yet, there are admittedly enough of these suspiciously-identical pieces to make me think that the accusations of plagiarism might have some truth to them. 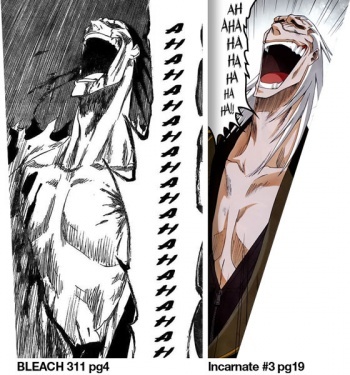 The similarities are at their most egregiously obvious when the images are overlaid atop each other (for instance, Bleach + Incarnate = ????). 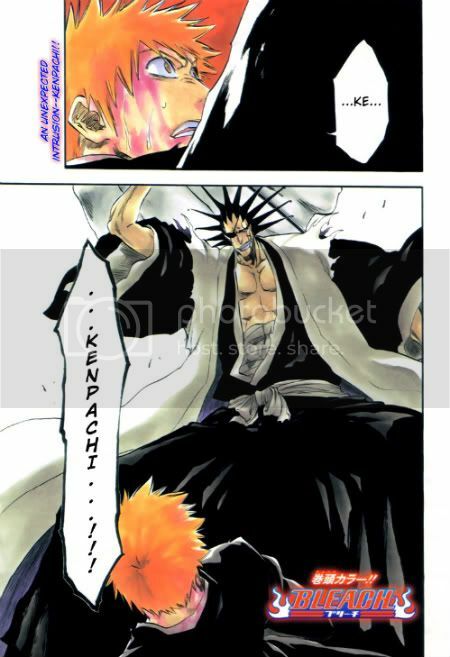 As it turns out, the Bleach fans aren't the only ones who find this suspicious: Production and distribution of Incarnate has been halted while the matter is investigated. The lesson here, folks? If you're going to plagiarize something, don't rip off of something that has a massive and scarily-devoted online fanbase. They're going to notice.